In 2002 I was diagnosed with Osteoarthritis, Carpel Tunnel Syndrome and depression. My Osteoarthritis was as a result of a fall at work which has now affected my right knee, toes, neck, lower back and both shoulders. My disabilities affect my ability to carry out normal day to day activities such as, socialising, household chores, shopping and walking for long periods of time. I worked for my employer for 17 years and had always been open and honest about my condition. 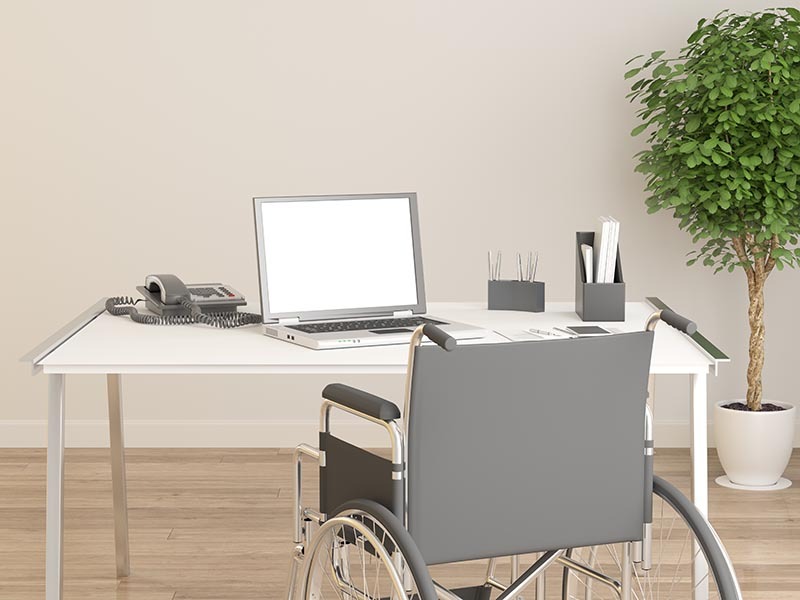 I found that my colleagues had a negative attitude towards me because of my disability and I would receive comments such as ‘you will lose your job’ and on occasions would find that my chair was knocked over and my footstool would be missing. I was referred for counselling but my employers failed to act on the recommendation that the matter was to be addressed. There was a re-allocation of roles and my job was shared with a colleague who did not have a disability which meant that I had to share my equipment. I was moved to another room for three months which meant I had no access to my disability equipment at all. I was asked to carry out a duty to help with the Christmas rush. I explained to my manager that my duties were modified because of my disability but this was ignored. I went on sick leave due to work related stress as I had no access to my disability equipment and was forced to carry out a duty which I was not able to do because of my disability. I was referred for counselling and access to work mental health support services. My Occupational Health reports recommended that I was fit to return to work with adaptations made to my workstation. I was informed by my employers that there was no suitable roles available for me. I received a letter stating that my employment had been terminated on ill health grounds. I appealed this but it was not upheld. I tried to apply for other jobs and went on training courses but found it a struggle to seek employment. Since realising that I could not get my job back, I became withdrawn from my family and friends, was unable to sleep and felt that I had no purpose or use. I contacted the Disability Law Service who assessed the merits of my case and helped me with my claim. I was provided with consistent advice at every stage and was assisted with drafting all legal paperwork. I successfully won compensation of £18,000 for injury to feelings and further awards for unlawful deduction to wages. Rarely awarded by Tribunals, I was re-instated and I was successful in my claims for disability discrimination. I am lucky to have received the help I needed to win my argument against my employer. It has provided me with the confidence to carry on with life and to start fresh. Names have been changed to protect identity. Photos are posed by models. How are we helping people like Amanda? We are here to help people like Amanda get the justice & compensation they deserve so that they are able to live the life they are entitled to. But we need your help.